If last year’s viral video of a woman being swarmed by rabbits on a Japanese island was a manifestation of your wildest dream, congrats, bunny lover: You now have a chance of that happening to you, right here in the good ol’ U.S.A. You just have to venture 30 miles north of Seattle to Whidbey Island, where hundreds of bunnies rule the land. Sadly, it isn’t as whimsical of a scene as it sounds. The adorable lagamorphs are wreaking havoc on this seaside town by digging up school football fields, destroying foundations of buildings and shitting all over the place, NBC News reports. Their presence also poses a health risk. “There is feces everywhere and there are some illnesses that can be carried and transmitted,” Brian Miller, facilities director for South Whidbey School District, told KING 5. Cute, cuddly and disgusting. 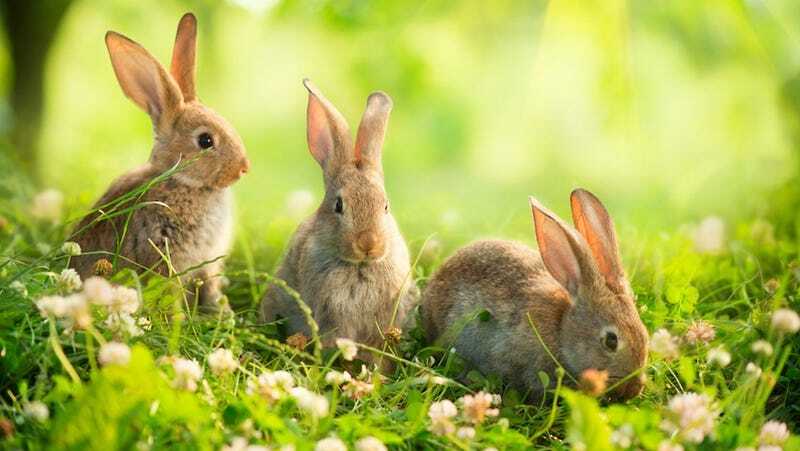 The bunnies are believed to have descended from European hares that escaped from the Island County Fairgrounds decades ago.